Need some assistance figuring out how Minority Report for PS2 Works. The folder structure is quite interesting. 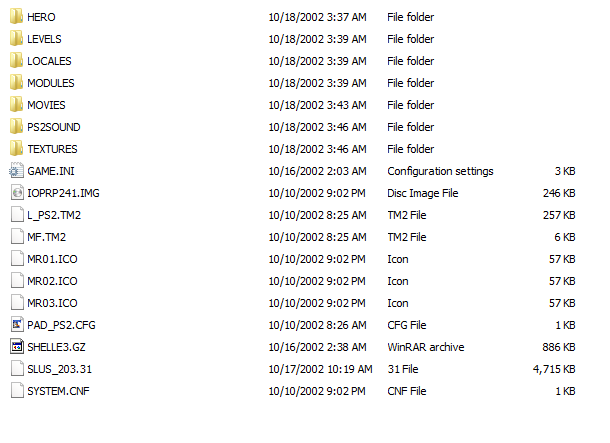 A lot of .PAK files. I'll upload the ISO here if anyone is interested. My main goals for this is extracting the models maps and textures really. The HERO/ Directory has .GZ files for I assume to be models? The models when you open them up in winRAR are in .PAK format, but I'm not sure what specific .PAK format, what would I use to extract it? Since the game has to be run on an emulator, does this also change anything? Looking for all the help I can get. Textures are in a .TM2 file format. Movies are in UPI and PSS.